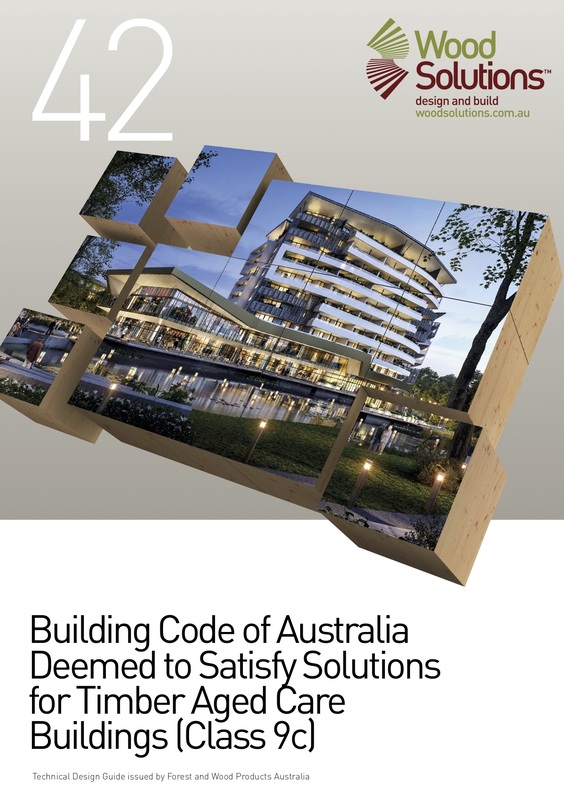 WoodSolutions Technical Design Guide 42 – Building Code of Australia Deemed to Satisfy Solutions for Timber Aged Care Buildings (Class 9c) provides information and options available to comply with the BCA, using timber structural systems for Class 9c buildings. It covers fire and acoustic requirements as well as providing timber-based design and construction solutions. The Guide includes information on designing and building with traditional timber framing, post and beam and panel systems. It is recommened that this Guide is read in conjunction with Guide 28 Rethinking Aged Care Construction – Consider Timber which demonstrates that savings of up to 16% cann be achieved by using timber.